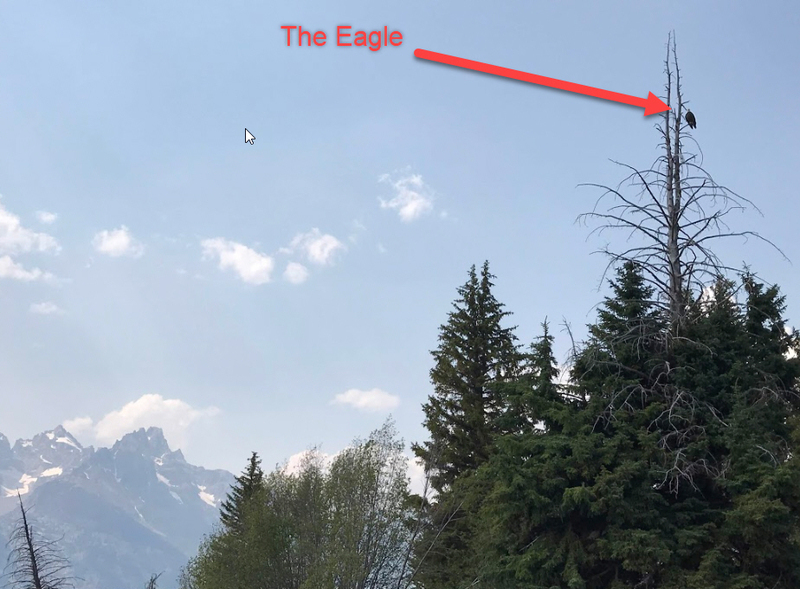 Do you think you can't get a good picture of that bald eagle with your smartphone? Take it anyway! 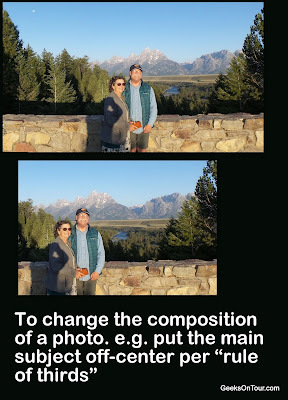 You may be surprised at how good you can make it look with just a couple of tweaks from Google Photos editing tools. 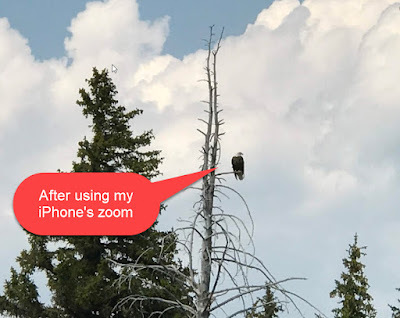 I used to teach people to NOT use the zoom feature on smartphone cameras. It's just a digital zoom which is the same as cropping after taking the picture. 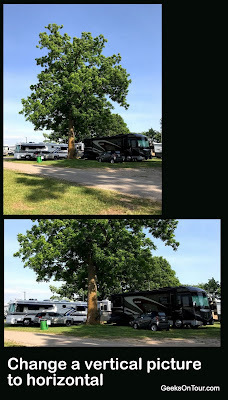 However, smartphone cameras have improved over the years, even simple digital zoom works better, and many of the newer smartphones have a second lens which is a true optical zoom. If you have a phone with 2 rear lenses, like my iPhone 7 Plus, you can tap the 1x icon on your camera screen (it changes to 2x) to take advantage of the optical zoom capabilities of your phone. 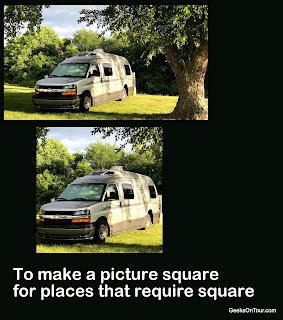 Even if you don't have the zoom lens, you can use 2 fingers on the screen to zoom, but don't go too far with this technique because it's hard to hold the camera still. 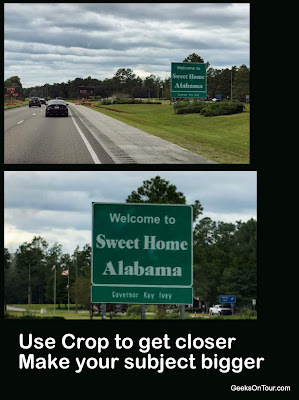 You can accomplish the same thing (digital zoom) after taking the shot by cropping the photo with Google's editing tools. You should now see white markers at each corner, you can drag them in closer to the eagle. Tap/Click Done, then Save. You might want to try an Auto filter before saving to see if it improves the exposure and color of the photo. Now, I admit that this picture isn't going to win any awards. Don't try printing it because it is way too low resolution after cropping it down to a fraction of the original photo. But, I love having this eagle photo to show people using my phone. I'm glad I took the shot. The crop tool can also straighten a crooked photo by dragging the 0 point.